Inheritance is the concept in which a class derives the characters of another class similar to a child deriving characters from his/her parents. 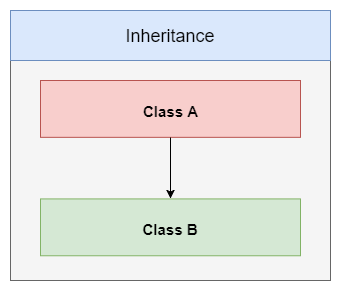 Inheritance helps in code reusability. This not only saves time but also the reliability of the program. Inheritance also reduces the complexity of a program. In the below diagram, Class B derives all characteristics of class A. Class B may also have some additional characteristics in addition to the derived characteristics. 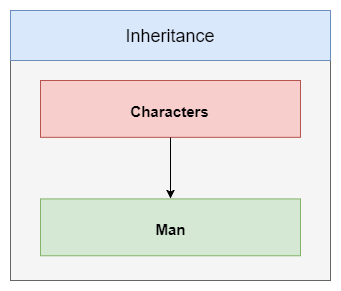 Here both classes Man and Woman inherits/derives all the characteristics of the class Characters, thus Inheritance reuses and reduces the code.